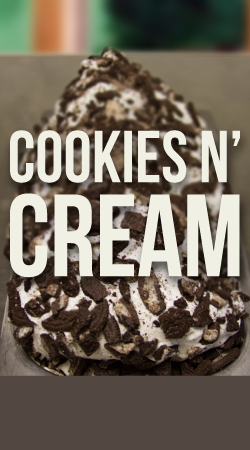 Our gelato base is made from scratch with milk and cream and is pasteurized in house. Gelato has less fat and more flavor than ice cream. We use genuine Italian equipment to make all of our gelato and sorbets. 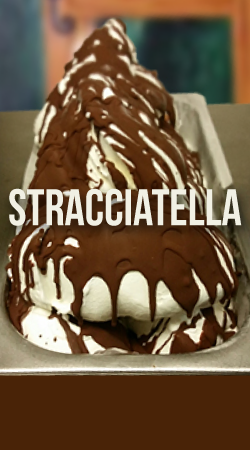 Lovingly crafted in house by our gelato expert, Sharrissa Williams. We use great ingredients, great equipment and great milk from happy Texas cows. Fresh, ripe bananas, peanut butter and a chocolate drizzle. You can't help falling in love! A flavor we are nuts about! Made with a pure Sicilian pistachio blend imported from Italy. Peanut butter….Need I say more? Salty and sweet are the perfect pair. Hand crafted salted caramel sauce made in house. Made with fresh, ripe strawberries. Made with raspberries and a raspberry paste imported from Italy. Clean, crisp mint, complimented by a classic chocolate drizzle. Made with fresh squeezed lemon juice. This intensely flavored gelato will satisfy any coconut lover. Fresh, pure flavor made with Madagascar vanilla bean. Made by drizzling a fine stream of melted dark chocolate into churning Italian cream. Bold taste of dark chocolate and cocoa. Italian cream gelato with Oreos mixed in.